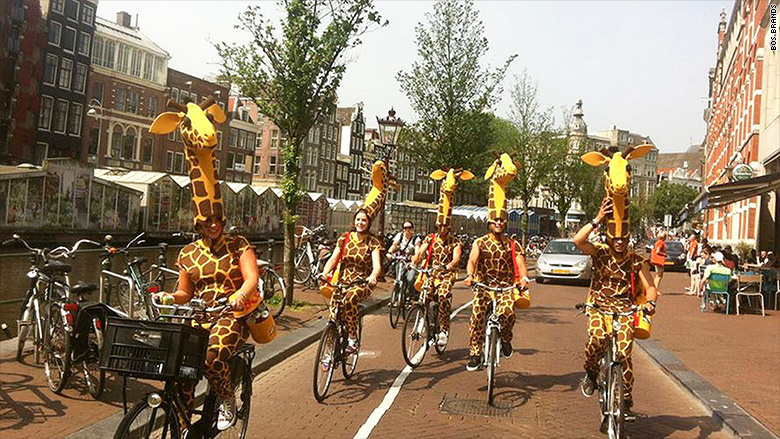 It's an unusual scene: A wave of cyclists wearing giraffe costumes flood down a busy street, handing out drink cans to surprised members of the public. While unconventional, marketing events like this have become a trademark of BOS, an iced tea brand that has conquered the South African market and is now gaining converts in the United States and Europe. "We want to put a smile on your face and create those moments of joy," said CEO Dave Evans, who joined the company shortly after it was launched in 2010. Consumers and employees have been seduced by the company's playful attitude and slick branding. Other marketing projects include Twitter-activated vending machines and artsy skateboarding parties. Evans attributes much of the firm's success to its eccentric marketing efforts, but the company also relies on a winning local ingredient. Indigenous to South Africa, BOS organic tea is made from the rooibos (red bush) plant. It's "quintessentially from South Africa" said Evans. The company says the tea is rich in antioxidants, a selling point for increasingly health-conscious consumers. The company is tapping into a booming global market for premium beverages, including products without alcohol. Over the past decade, traditional carbonated drinks have lost 10% of their market share, according to Evans, and a wave of competing brands such as Britain's Fever Tree have enjoyed rapid growth. 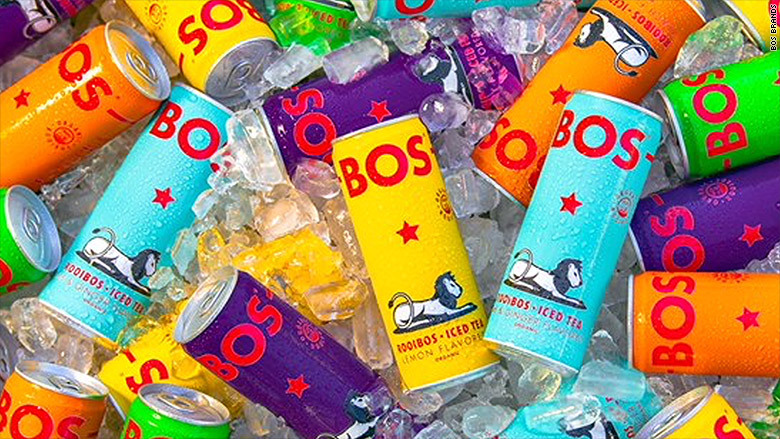 With flavor combinations ranging from lemon and peach to lime and ginger, BOS sold roughly 10 million units last year. "We've run at north of 70% compound annual growth rate since 2011," said Evans. BOS cyclists in action in Amsterdam. The CEO believes the next big market is the United States, which offers "tremendous growth opportunities." Having only launched in California in December, he expects half of the firm's sales to come from the United States within three years. The tea is being sold in premium natural food retailers. BOS launched its first international office in Amsterdam in 2014, and it now sells iced tea in 14 countries. The company does need to be careful about sourcing its key ingredient. Rooibos plants take three years to generate their first harvest. But that hasn't scared away investors. For example, former Manchester United manager Alex Ferguson purchased a 10% stake in the company.